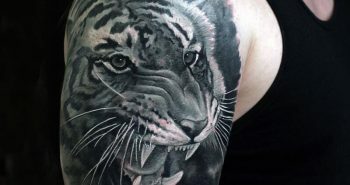 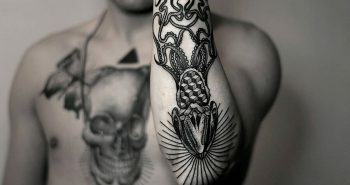 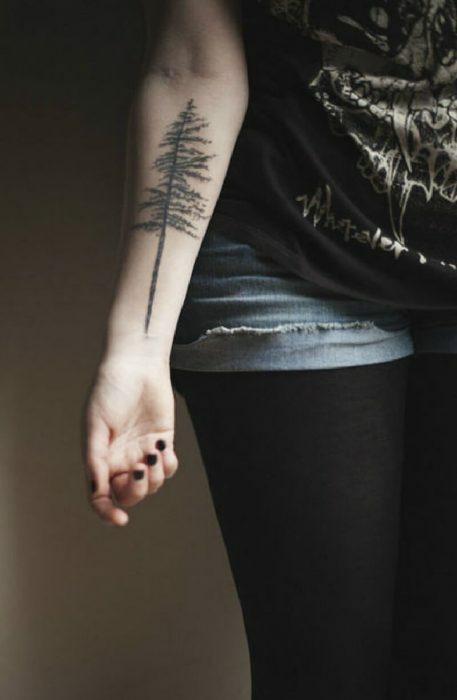 The Tree Tattoo symbolizes life, eternity, immortality, strength, protection, knowledge and wisdom. 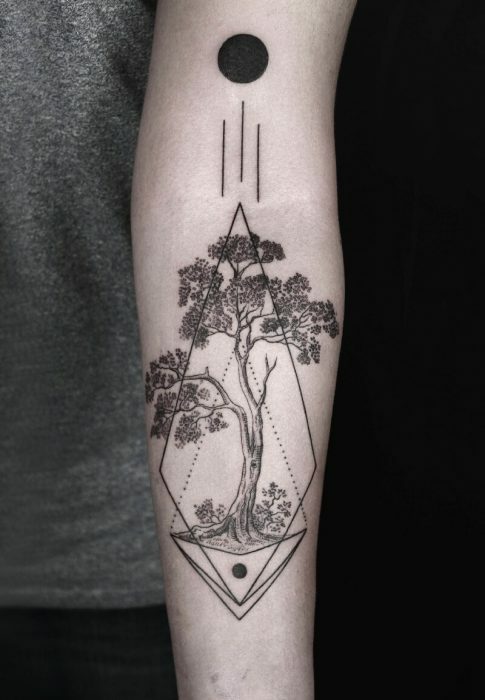 Since ancient times, humanity has worshipped and created symbolism surrounding trees. 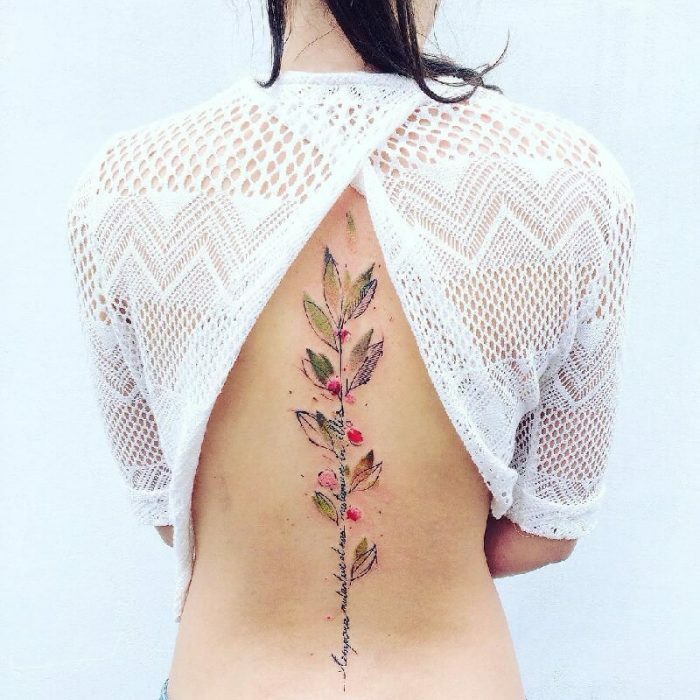 Leaves: Fresh leaves represent rebirth, growth and maturity. 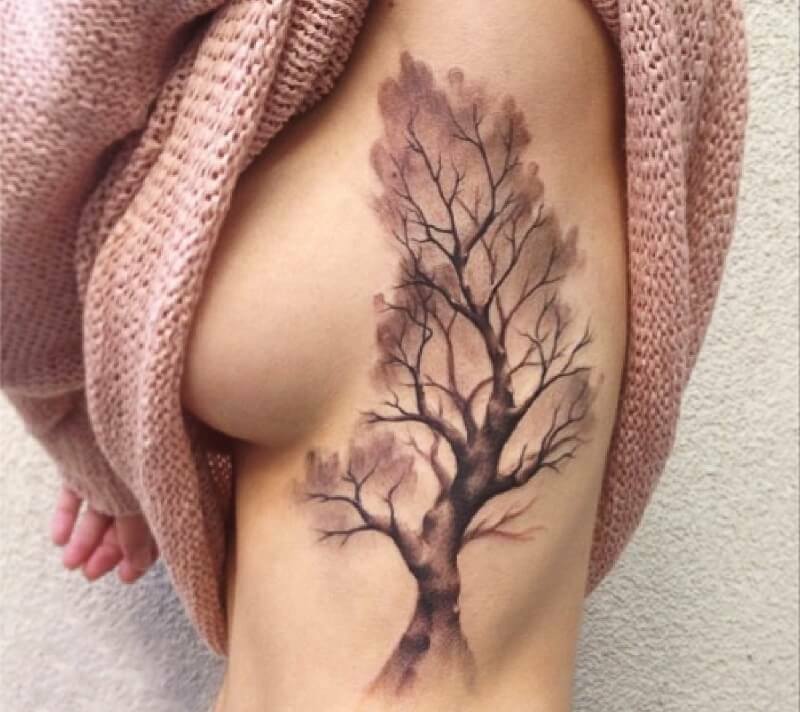 Brown or decaying leaves represent death. 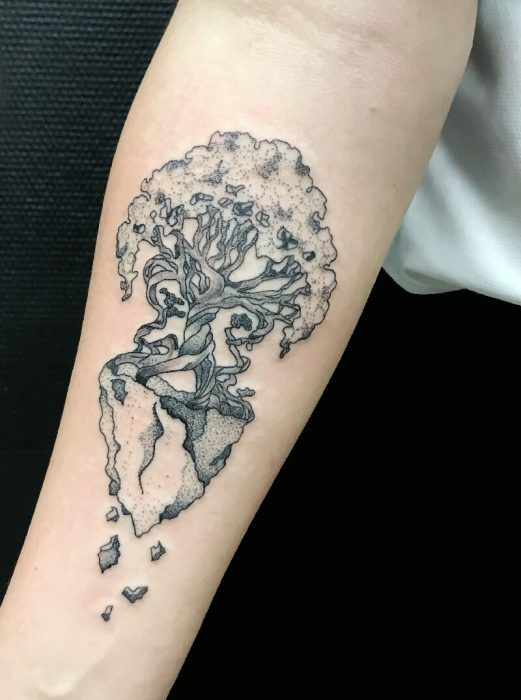 Roots: They are used to show that the person has a deeper connection with something or someone. 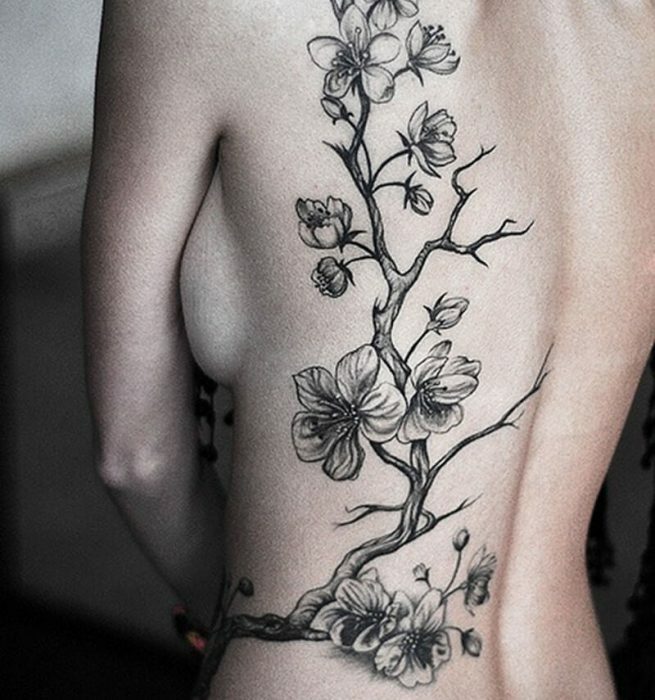 Flowers: Mostly used by women to represent beauty and transitioning from a girl into womanhood. 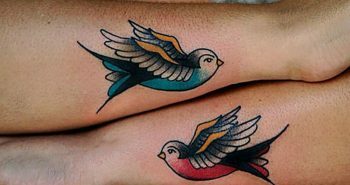 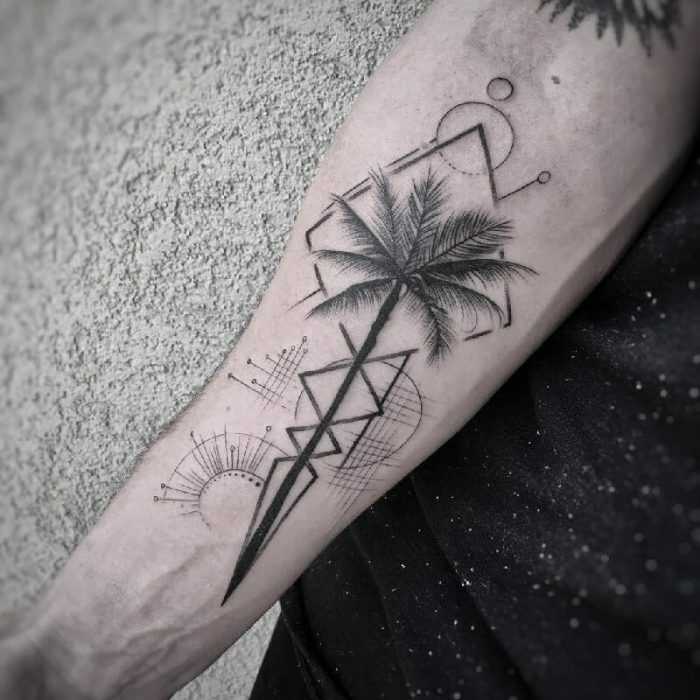 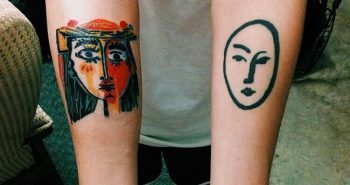 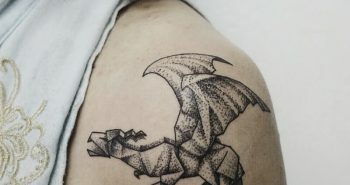 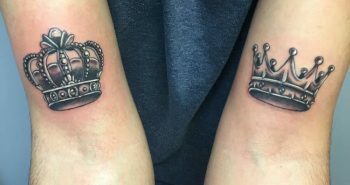 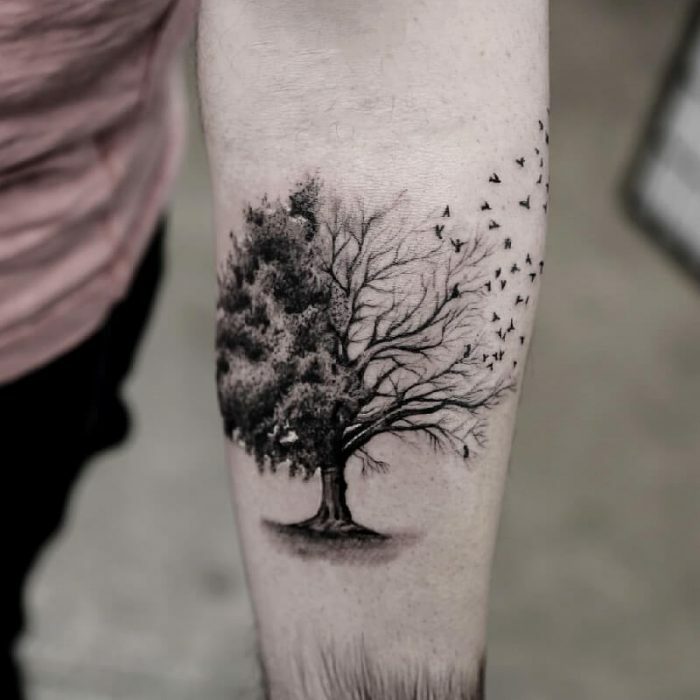 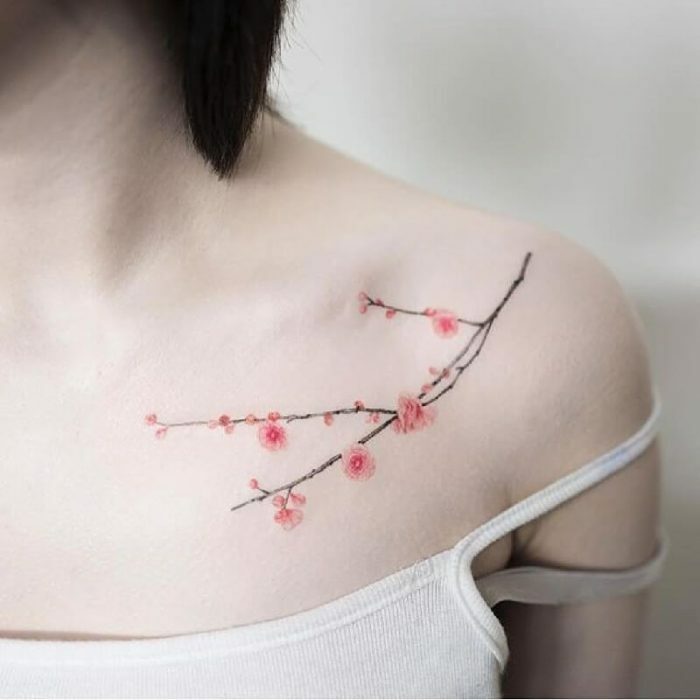 Branches: Branches on tree tattoos are used to show connection with other people. 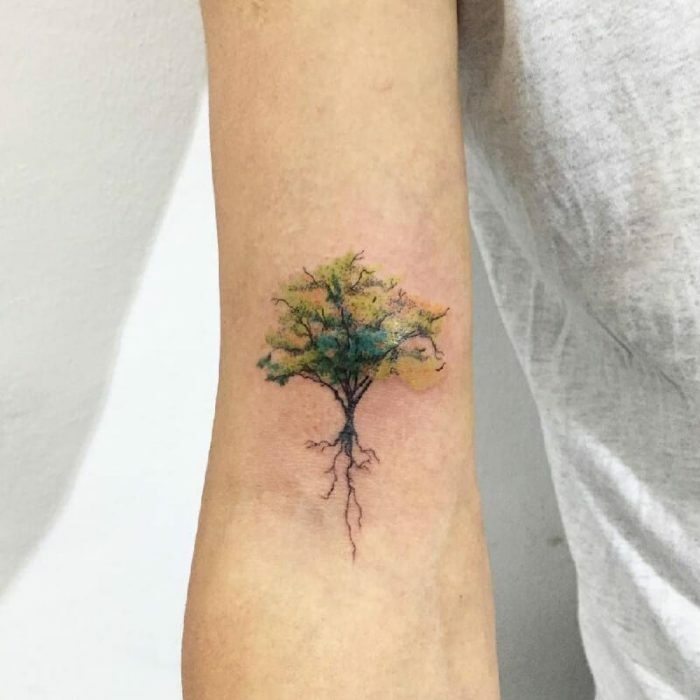 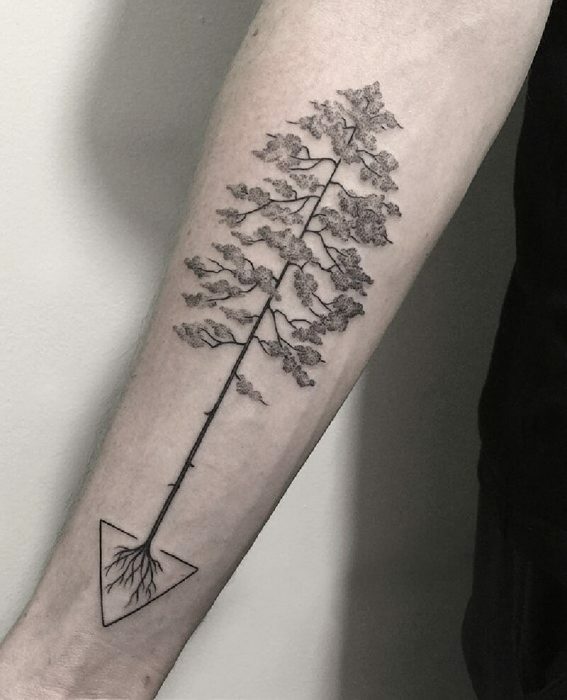 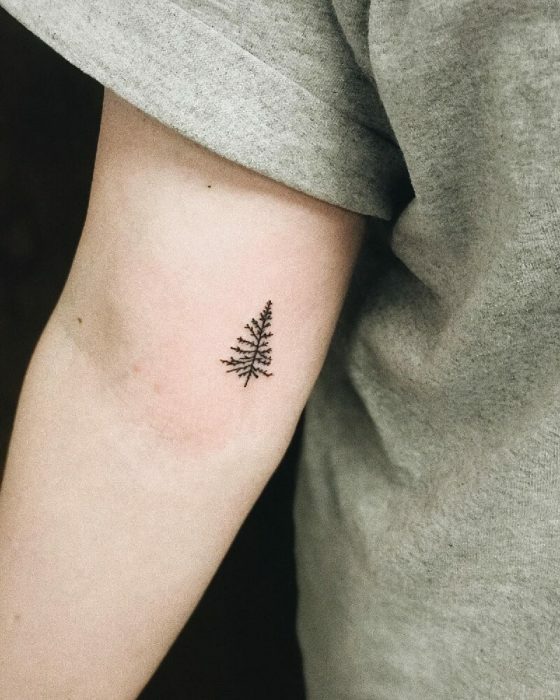 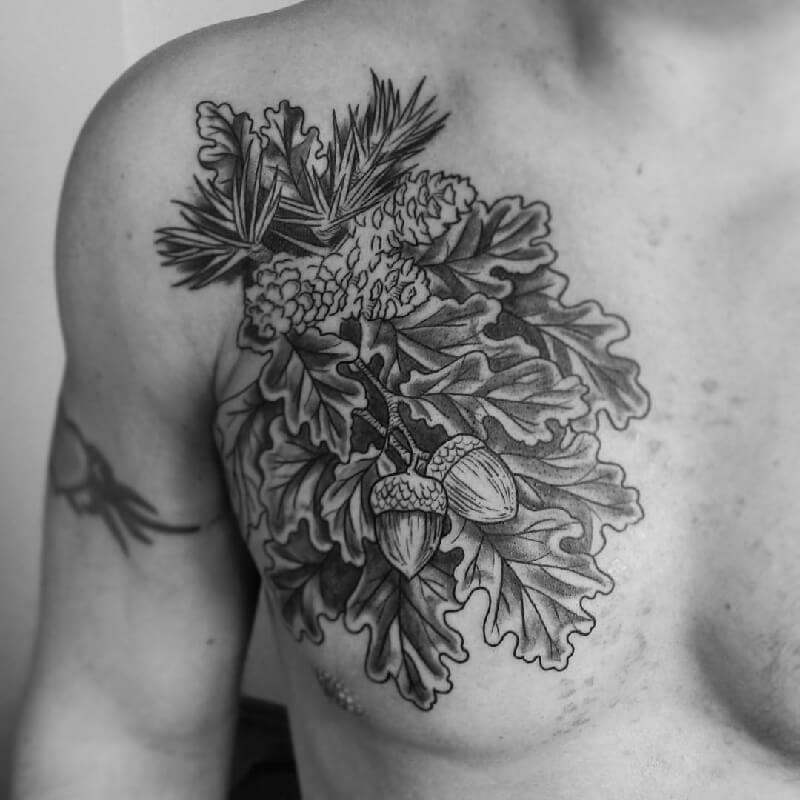 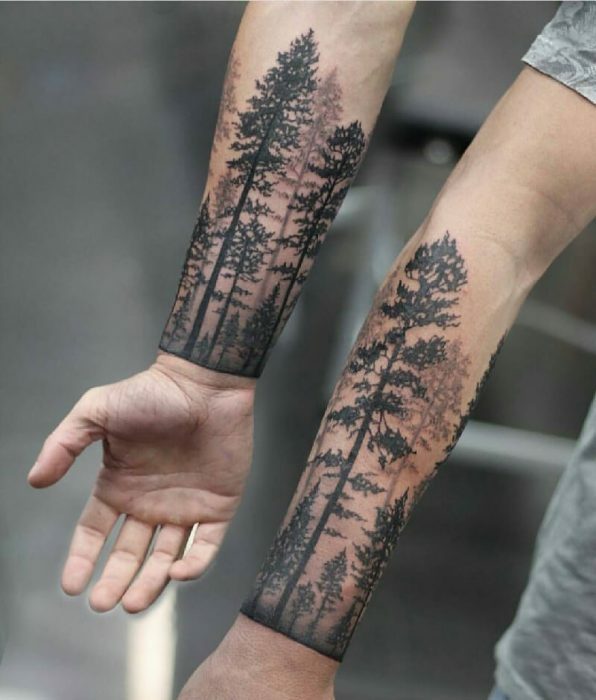 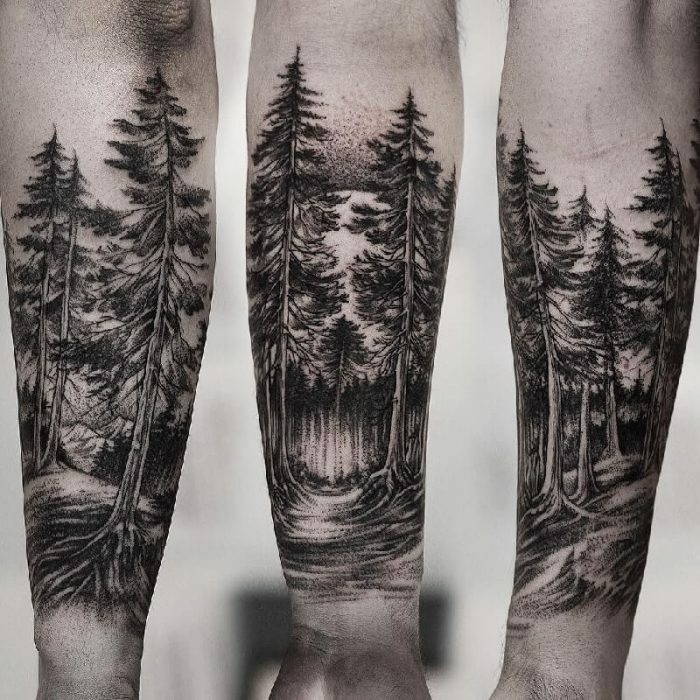 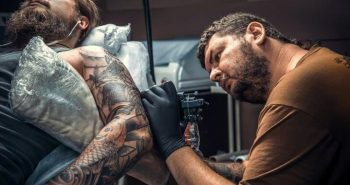 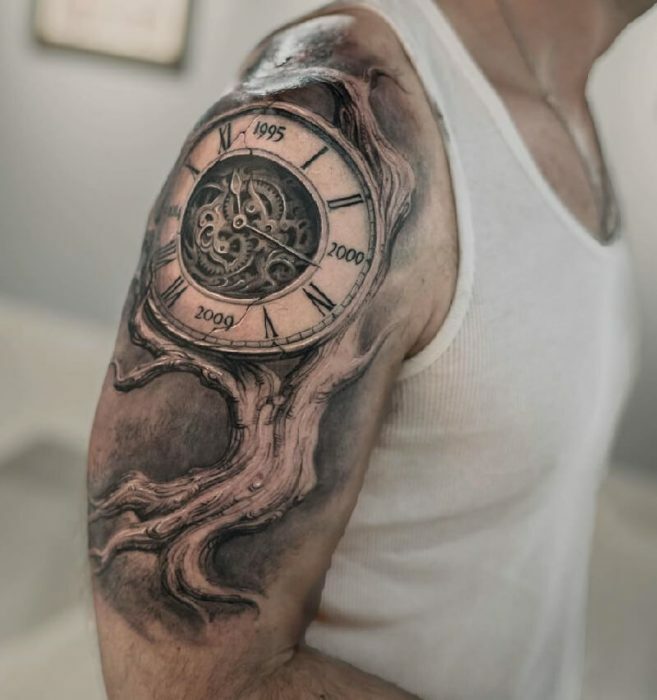 What does a tree tattoo mean? 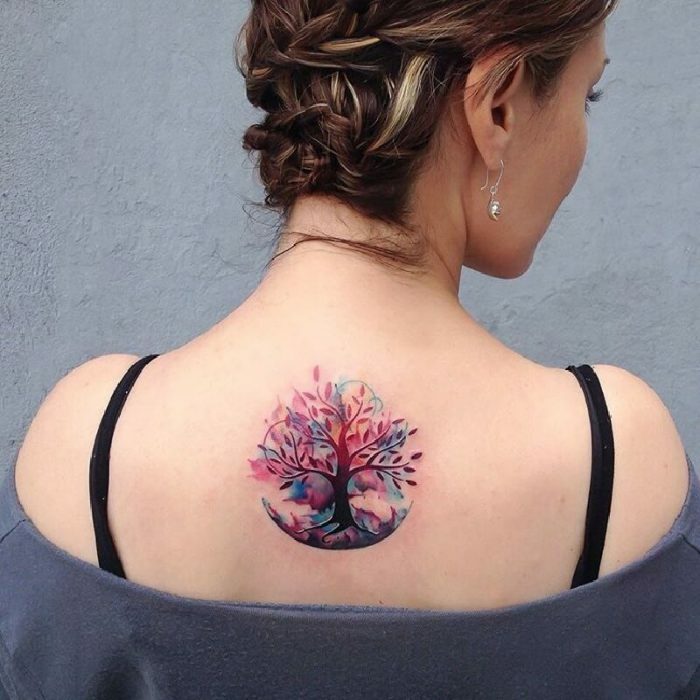 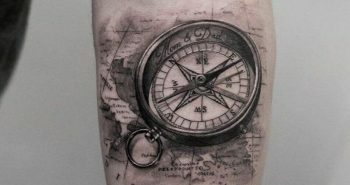 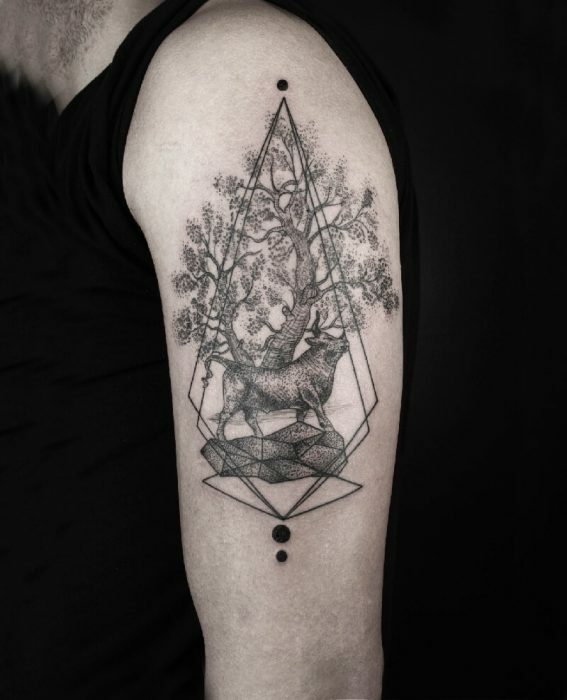 In many tattoos, the tree is drawn with its roots and branches intertwined in a circle. 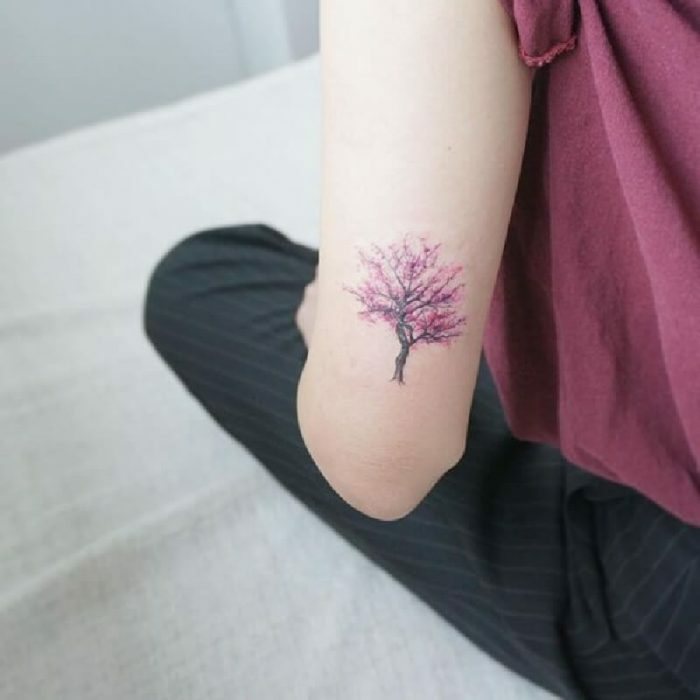 For example, colored Weeping Willow. 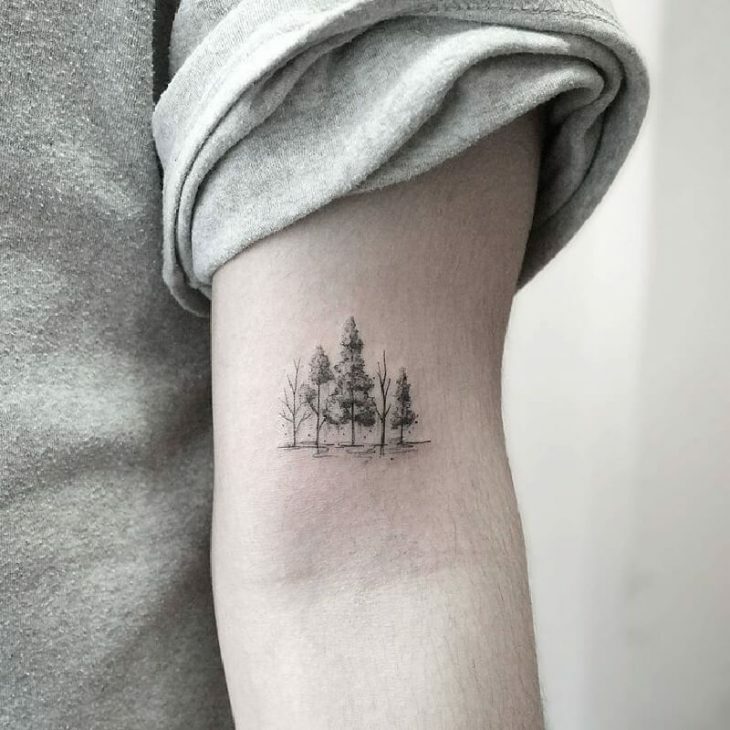 Because of its droopy look the weeping-willow tree is often associated with a memorial tattoo. 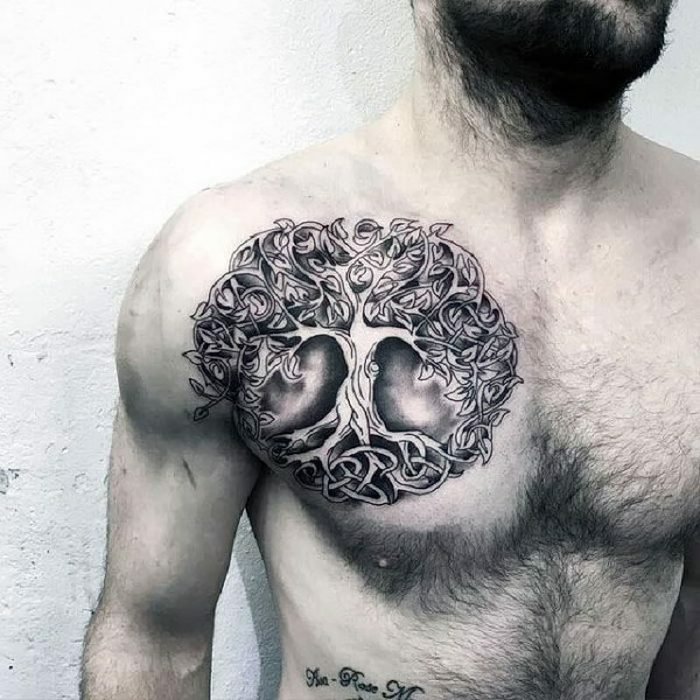 The ancient symbol of the Tree has been found to represent physical and spiritual nourishment, transformation and liberation, union and fertility. 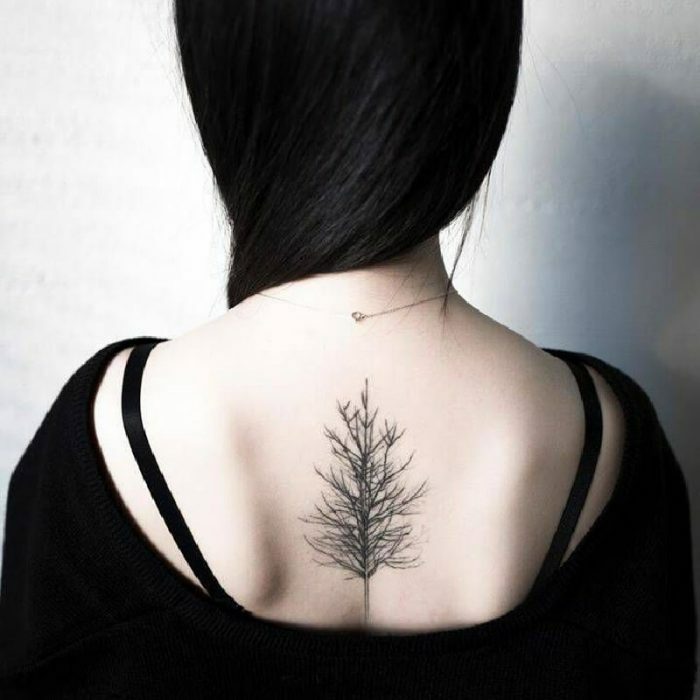 Often seen as a symbol of femininity due to its long branches and flowing leaves, the trunk is seen as masculine.